Culture and atmosphere are some of the most important ingredients in making a beauty school great. 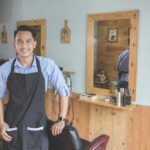 You could go to a beauty school that has a great curriculum but if the culture is negative and the atmosphere doesn’t inspire, you aren’t going to learn very much. What goes into building a school with an amazing culture? One big piece of the puzzle is the students. 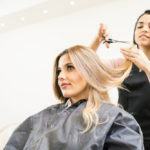 If you have a student body that is passionate about learning and has a love for beauty, going to class and working in the salon can be a blast! American Beauty College is fortunate to have tons of incredible students who contribute to creating a winning culture. We like to recognize a couple students who not only come to school to learn, but also to teach and lift others up. Here are our student highlights for the month. Adrian is one of our barbering students and clients are constantly asking for him. If this isn’t an indicator of student success, we don’t know what is. Clients and students both love being around Adrian because of his fun-loving and kind personality – plus sometimes he brings pizza for his peers, and who doesn’t love a guy who does that? We love seeing students who lead the pack, help others out, and pull people up with them. Adrian is a perfect example of this and we are grateful to have him here! 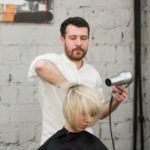 Not only does Adrian’s positivity help create a positive learning environment, but he is great at honing in and refining his barbering skills. He is known for taking his time, being very meticulous, and paying close attention to the details. Adrian may not have his barbering license yet, but he’s a pro at soaking up information and perfecting his skills. Keep it up Adrian! This student knows what it takes to become the best at what he does! Christian is always in class with an open mind and excitement to learn new things. He’s motivated, attentive, hardworking, and passionate. Any time we have charity events, Christian is the first to volunteer to help out. He also volunteers to take on tasks that may be out of his comfort zone because he knows this is one of the best ways to learn. Christian’s dedication to always giving 100% is something that we hope other students see and learn from. Not only is Christian an example of dedication and hard work, but clients love his what he does from behind the chair. They tell us that he is always polite, pleasant, and that he goes the extra mile to get the best end result. This is the kind of student we love to have in our salon. Nice work Christian! Want to be a part of the learning process with our students? Come visit our student salon. Our students can perform many beauty services under the supervision of a licensed professional. Come see us for your next haircut, color, beard trim, manicure, or wax. Let our students help you get the style you’re looking for! Are You the Next Student of the Month? Want to become a professional barber, cosmetologist, makeup artist, or nail technician? Contact us and follow in the footsteps of Christian and Adrian. Let’s see if you have what it takes to become the next Student of the Month! We can’t wait to help you begin your journey to becoming a beauty professional.